Home » Greek Default: To Be or Not To Be? The situation in Greece is a little bit complicated. You should remember that Greece is not any more a sovereign nation-state. It has become a legal protectorate of "Troika", of Germany, the EU, and the International Monetary fund. Behind those institutions there is International Finance and the USA, to some extent, which gave the permission and political support to this program through the IMF and otherwise. As a result, this program did not save Greece from bankruptcy but the opposite: it pushed it into bankruptcy. Our sovereign debt has increased from 110 percent of the Gross Domestic Product (GDP) to 175 percent of GDP. At the same time, the terms of the debt have changed. In 2010 the debt was ruled by Greek law and everything related to the debt was decided by the Greek parliament and Greek courts. But later, the creditors forced the Greek government to change this policy, and now it is ruled according to English colonial law, and all decisions are being decided by Luxembourg International Court. As a result, our situation with debt has much deteriorated and at the same time, we have lost a major part of our sovereignty, especially in matters of economic policy, because of the agreements Greece has been obliged to sign. In the meantime, the measures which were imposed by creditors on Greece have provoked the biggest economic and social catastrophe in Western capitalistic Europe since the end of the Second World War in 1945. The economic depression in Greece is even deeper than it was during the Great Depression of 1929 in the USA. It is one of the biggest crises in the history of capitalism over the past few centuries. I believe that this was done on purpose. If it was a mistake, it would have been somehow corrected long ago. We are speaking about the transformation of a relatively independent and sovereign nation-state into a form of debt colony, which is subjected to continuous destruction. Greece as a state is obliged to apply policies leading to its own self-destruction. The Greek population faces demise, it is destroyed itself, by economic crisis, by immigration and because of the crisis in the health and retirement systems. Somehow, the IMF did in Greece the same thing it did in 1992 in your country (Russia). And it yielded approximately the same results: economic and social disaster. But this is not the end. 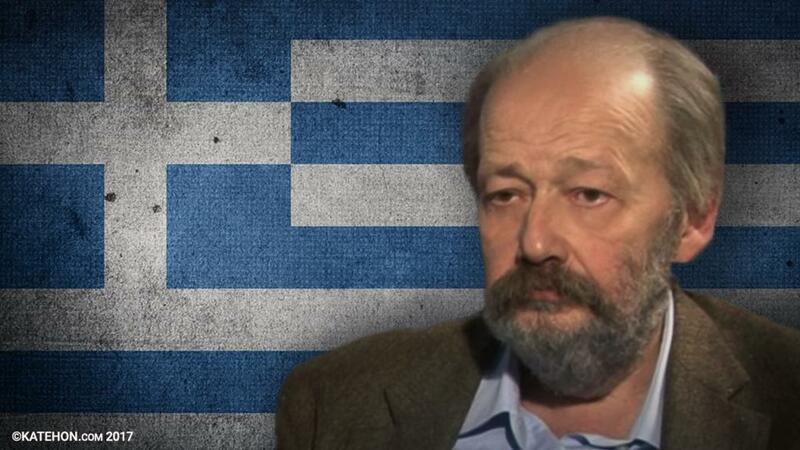 What has happened in Greece is an example also of micro-control and manipulation of society and political forces. So, when sometimes people tell me “Are you going to make default?” or “Are you going to go back to Drachma and leave Europe?”, we have first to answer “Who will do this?”. There is no Greece to do this. Greece is, in multiple and various ways, at the hands of international forces which have made it into a protectorate. We need to take back our country. This is not so easy to do when you confront such powerful forces.